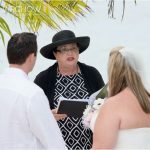 Cayman Vow Renewal or Cayman Wedding Blessing? 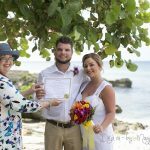 Today I want to talk about the difference between a Cayman Wedding Vow Renewal and a Cayman Wedding Blessing. The pictures below are from real couples whose Wedding Blessing or Wedding Vow Renewal we arranged and conducted in 2009. This couple was married days before coming on a cruise to the Cayman Islands, where we arranged their Cayman Wedding Blessing at My Secret Cove. Here they are, the first couple to get dressed in our new Bridal Room at our new office in George Town, Grand Cayman. 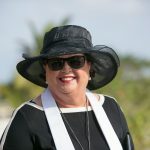 I do a Cayman Wedding Blessing if the couple have been married less than 2 years. It is a special service which is much like a wedding service, but I reference the couple's legal marriage, ie I might say "John and Mary were married at X Place on Y Date, and today we celebrate this union with them as they reaffirm their relationship in this Wedding Blessing Ceremony." There are many reasons a couple might want a wedding blessing, the most common one is if they had a civil wedding in the court-house or Registry office and they want to repeat their vows in a beautiful location where they can get fantastic and memorable pictures. 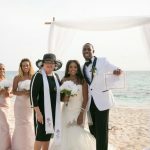 This was a very special Cayman Wedding Blessing as Cayman is the home of this bride's ancestors and she wanted to honour that by having a special ceremony on her first visit to her fore-fathers homeland. This was a beautiful Wedding Vow renewal. 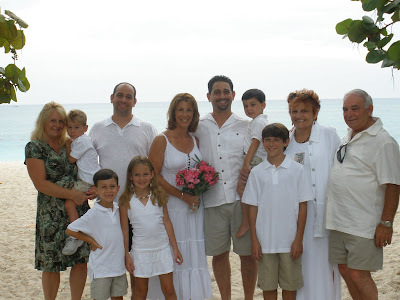 This couple have 3 children, and they were on a special holiday travelling alone, staying at one of the condos on Seven Mile Beach where they took the opportunity to create a very special memory. 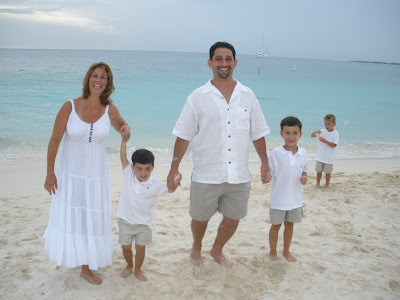 This couple were in Cayman with their children and their extended family, celebrating their 10th Wedding Anniversary. As I said before, I love to do any type of ceremony which involves children, so I will always do something special for the children if I know in advance. These all got sand dollars they could write on. The Governor's Beach which is mid-Seven Mile Beach is a great spot for kids, and parents. it is always clean, and not usually crowded during the week. You don't have to wait for one of the big anniversaries to do a vow renewal. I have done Wedding Vow renewals for many different anniversaries, and in many different locations. I think the one I enjoyed most was for a couple's 50th Anniversary on 1 January 2009. For this I used the ceremony my own parents Vernon and Francine Jackson (Cayman Weddings) used for their 50th wedding anniversary. Your relationship is different and unique, that's why Simply Weddings will personalise your Cayman Wedding, Cayman Wedding Blessing or Cayman Vow Renewal and give you a script of the ceremony for a souvenir. You can choose to have a prayer, or not as you prefer. I use a lot of non-denominational blessing eg the Apache wedding Blessing, the Irish Wedding Blessing. I have used Hindu blessings, Buddist blessings and Shinto blessings as well. You can also bring your own vows, blessing or readings and I will incorporate them into the ceremony. Ask about flowers from Trisha's Roses, some couples like to duplicate their original wedding bouquet (smaller version, but using the same types of flowers). Two photo packages available, one with, and one without prints in an album. The couple below arrived on a cruise ship, last week and were married at My Secret Cove. Whether you are getting married, having a vow renewal or a wedding blessing, you can arrange to be picked up at the cruise landing. 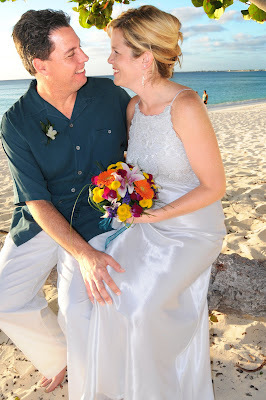 If you are thinking about a Caribbean Destination Wedding, think Cayman Islands, and in Cayman your local wedding specialists Simply Weddings- Grand Cayman Wedding Celebrants and Planners.